This person monitors and communicates to our shipping partners every minute detail of a consignment. The involvement of the shipping executive starts the moment we receive a purchase order containing the delivery details. Pallet size, pallet layout, maximum weight, carton box size, carton labelling, split deliveries, notification and export documentation are all handled by the shipping executive to ensure that the product arrives safely and to the required specifications. Extra services may include air freight, timed delivers, tail lift, and fumigated pallets, be spoke custom sized cartons and custom sized pallets. Being on an island the majority of our production is first transported by sea to Northern Italy, after which it continues its onward journey by road transport in trailers. All our road services providers are fully monitored GDP-compliant (Good Distribution Practice), meeting all customer requirements in terms of regulation, security, quality and handling. Their expertise in project cargo means they have a large availability of vehicles and trailers to cover every requirement. Other services offered include project forwarding, combined transport which might require road/sea/air and air/sea/road, pre-shipment inspections, packing, overland feeders services for total door-to-door delivery, bonded warehousing to facilitate fast-track unpacking and customs clearance. 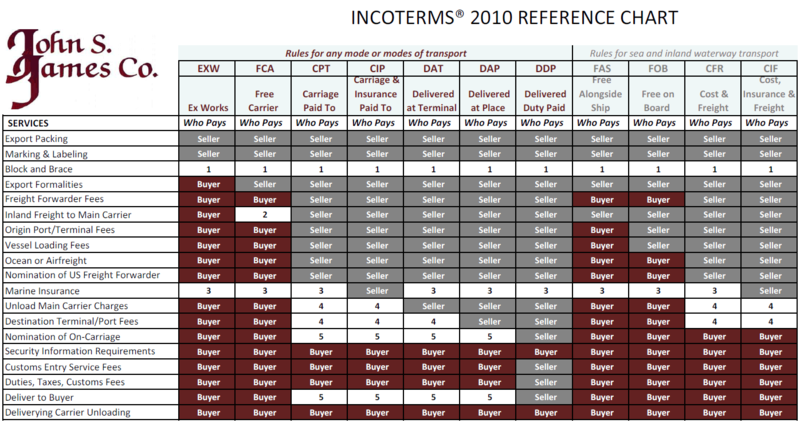 All shipping terms agreements are based on "Incoterms" standards.